We talked with the founders of TubeStart and Patreon as well as the Director of Marketing for The Young Turks Network about different strategies they’ve implemented for monetizing their audience outside of Adsense. We discussed crowd funding, paid membership websites, merchandise sales, paid YouTube subscription channels, and more. Here’s an outline of our discussion for easy navigation through the video. 08:50 — Brief advice: Try everything! 14:50 — How does a creator decide what’s the best funding model for his/her Youtube channel? How do I decide what option might work best for me? 20:15 — Crowd funding campaign: How do you figure out goal/how much money to ask for? 24:50 — Subscriber base: How large of a subscribers base do you need to start a crowd funding campaign? 26:50 — How do you plan a crowd funding campaign? 30:15 — How important is to keep supporters updated throughout a campaign (especially for ongoing campaigns)? 34:45 — What are some good perks to offer? How can I discover other perks that are/would be useful to my supporters? 37:25 — How do you create a great/effective video trailer for your campaign? 42:10 — What’s the best way to continuously promote your campaign/membership website without appearing spammy? 48:40 — I spend a long time producing video, how “special” should the extra content be to satisfy your donors? 50:10 — What would be the easiest way/platform to manage selling merchandise? 51:05 — Are you worried that Google will punish those who try to circumvent their revenue models? 54:15 — Does anybody have any experience with new monthly subscription service on YouTube? 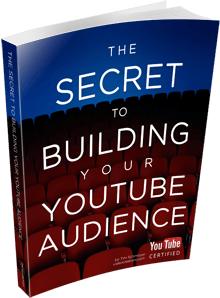 55:25 — How to make a transition from free videos to paid content (membership/download material)? 01:05:15 — Are you worried about YouTube taking the best of items from your platforms (Patreon and Tubestart) and incorporate them into their future upgrades? 01:06:20 — Question about “basic free tutorials/paid in depth content” model. Does it work on YouTube? Great! Glad to hear it, Karan! Tim can you help me with video embedding on websites and then monetizing them and how can my CPM rise on youtube. Embeds still show ads, so no problem there. CPM is based on too many variables, but what it boils down to is make great content that advertisers want to spend money on. Thanks you have always helped with great videos and answers. Hi creator! I am a poor Youtuber who is looking for many ways to increase my video views as well as revenue. Unfortunately, I usually find it hard to do this. I’ve built a channel since 2011 and until now, it has over 5k subscribers. I’ve earnt about 500$ and YouTube started to ban my channel from monetization. They said my videos violated community guidelines. I feel very upset! I just want to ask if I could take any benefits from my banned channel which already has 5k sub. Is there any other ways to monetize my videos? Thank for your support.